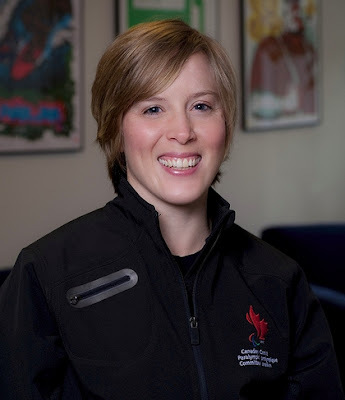 The CCA's website has an article on the programme assistant for CurlBC's Adaptive Outreach initiative, Elisabeth Young-Walker, a 4-time Paralypiam swimmer and Assistant Chef de Mission for the London 2012 Paralympic Summer Games. She is currently developing an adaptive program to get children with disabilities involved in curling. While the goal is to promote the sport through fun games and not focus solely on wheelchair curling, many of the concepts can be adopted for on-ice play. The program is funded through CurlBC's share of 50/50 money raised during the Olympics and Paralympics. You can read what she has to say HERE.